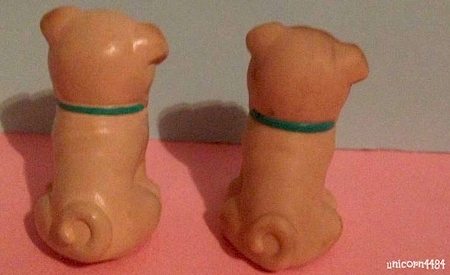 Littlest Pet Shop prototypes include: unreleased prototypes that never entered pre-production phases; limited release sets that were produced in very small quantities; original artwork that was used to produce graphics for packaging, accessories, and advertisements; hard copies (resin prototypes) that were used to create molds or to stage advertising photos; first shots, which tested steel molds; and pre-production & production samples, which were sent to Kenner's departmental heads for approval before toys went into production. 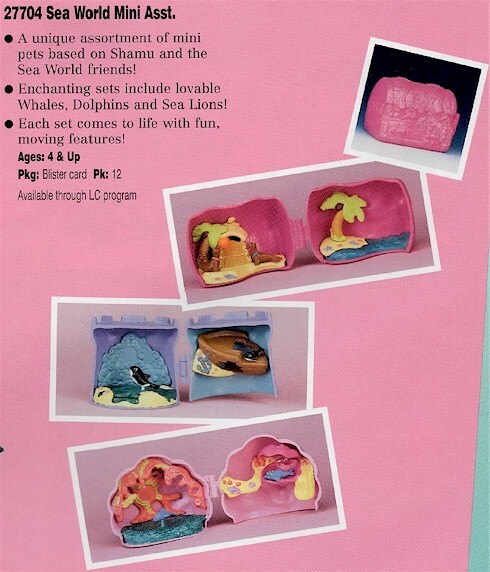 A variety of Littlest Pet Shop sets existed only as prototypes and never went into mass production. Collectors know of these prototypes either through promotional images or through various Kenner sources. 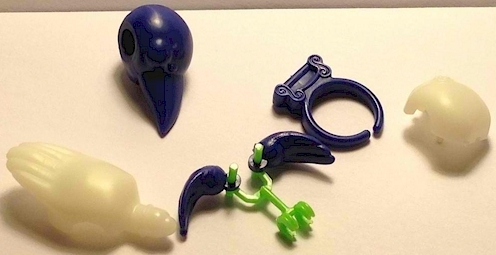 Unreleased prototypes that were pictured in promotional images but never produced most likely existed only as hard copies; these hard copies were probably cancelled before being used to create molds. The Kenner Morgue was a building in Cincinnati, Ohio that housed pre-production models, artwork, files, etc. for Kenner's various toy lines. Shortly after Hasbro bought Kenner, it closed its Cincinnati location. 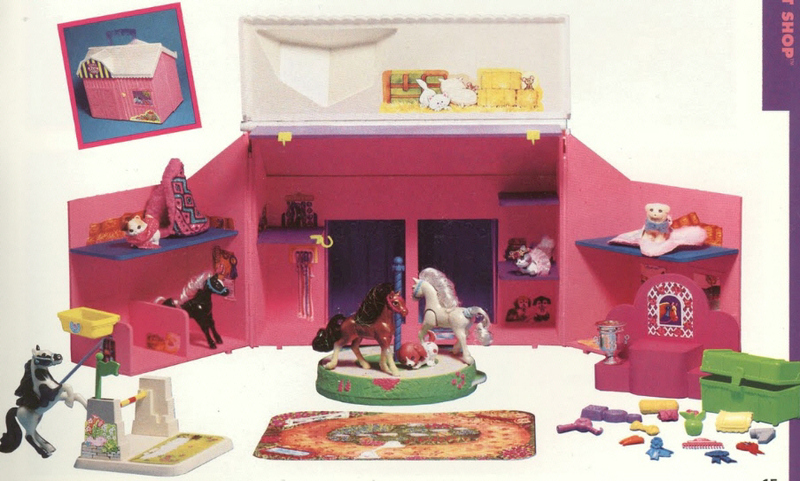 An inventory of items in the so-called "morgue" was made, with specifications of which items should be shipped for storage to Hasbro's Rhode Island location and which items should be disposed of. Thanks to KennerCollector.com, this inventory list is now available! 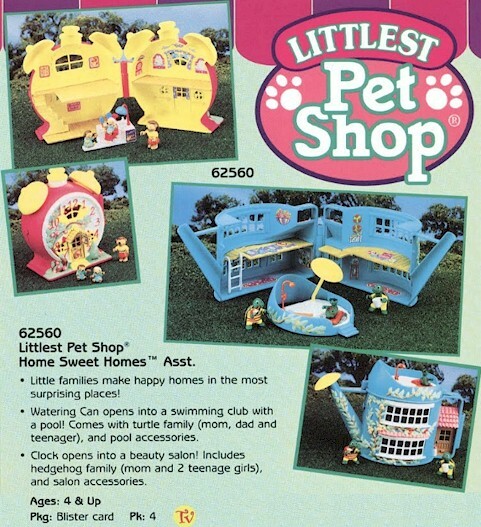 It includes a plethora of Littlest Pet Shop items, including artwork, pre-production models, and several prototypes that never made it into production. According to a memo that accompanied the inventory, an employee named Heather "indicated she would like to have [LPS] sent [to Rhode Island]." The entire morgue inventory is available at KennerCollector.com in six parts. For the purpose of expediency, the following is a list I've compiled of all of the LPS-related items found in the morgue inventory (listed in order of appearance). Any items in bold are what I believe to be prototypes that were never put into mass release. 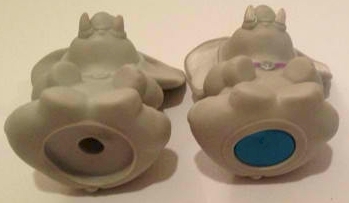 All other items appear to be prototypes for sets that were ultimately released into circulation. 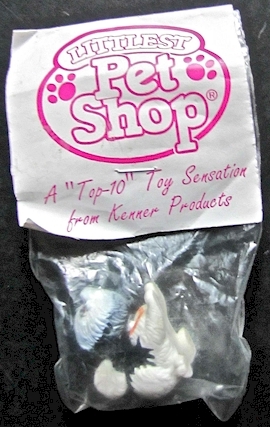 The Kenner Museum was located in the same warehouse as the Morgue and contained final production versions of their toys. The toys in the Museum were intended to be used by Kenner employees for comparison purposes when working on current products. When the Cincinnati, OH Kenner location was shut down, the Museum's collection was shipped to Rhode Island. 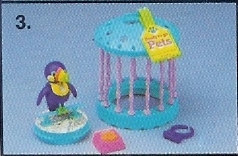 The promotional images for 1992's Ready to Go Pets included a photo of a dark blue Ticklish Toucan with dark blue ring-perch. No collectors in the online LPS community have ever encountered a dark blue variation of this bird. This color variant is most likely a hand-painted hard copy. 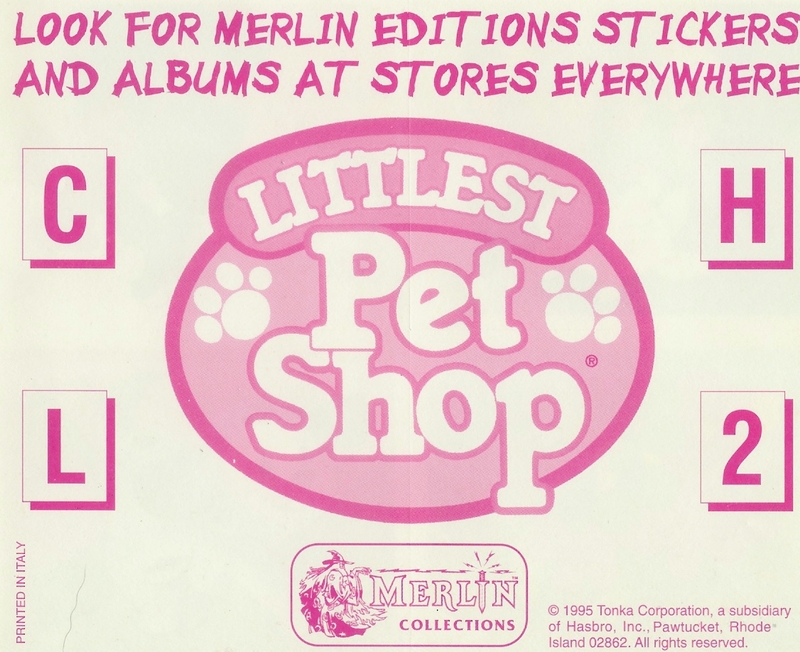 Advertisements for 1992's Mail Order pets used this image of five different pets, including two dogs, one monkey, one turtle, and one bunny. 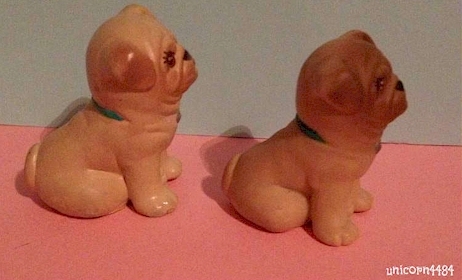 Collectors have never seen either the gray dog or the orange turtle. 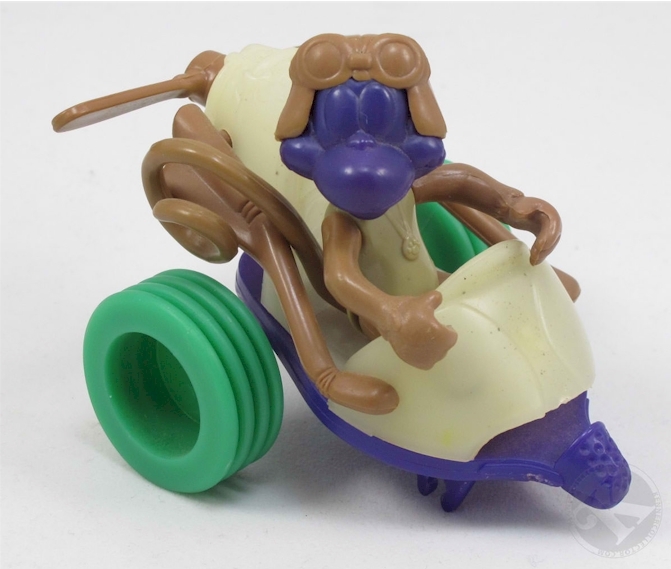 The tan monkey is also quite rare; Kenner mostly mailed out extra monkeys from 1992's Magic Monkeys set. The gray dog and orange turtle were most likely hand-painted hard copies that were never used for production. 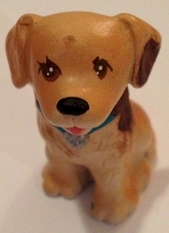 A discussion thread about the elusive Mail Order puppy and turtle is available at the Kenner LPS Forum. These hand-sewn, plush prototypes unfortunately never went into production, but they fortunately found a home with LPS collector Leah. The mother cat resembles the orange cat from 1992's Cutesy Kittens set, and a velcro strip on her tongue attaches to her white kitten. 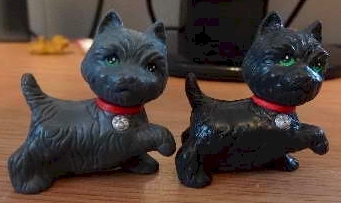 More photos of these adorable kitties are available at the Kenner LPS Forum. Promotional image from the 1995 Kenner Girls Toy Fair catalog. Text from a 1995 Kenner Press Kit. 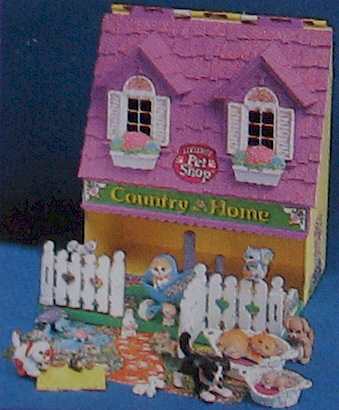 -Teal bridle/jeweled paw print brand -Pink saddle "blanket"
Several "Mother & Baby" pets appeared only on the backcard advertisement photo for the Country Home Carrycase and in the 1996 Kenner Girls Toy Fair catalog - they have never been found in circulation. 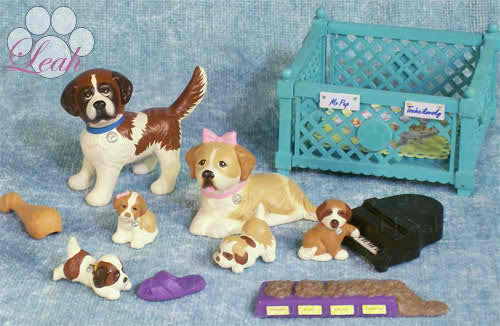 In these photos, the unreleased prototypes are pictured along with some of the pets from the Newborn Families (1995) assortment and the Country Garden Nursery Playset (1995). 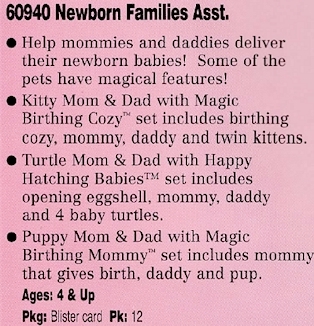 Additionally, the descriptions featured on the backcards of the Newborn Families (1995) sets mention "mommy and daddy puppies, kitties, and turtles", and the turtle set is also explicitly named & described in the '96 Girls Toy Fair catalog, so it appears that Kenner had indeed intended to release a family of turtles in 1995/6. 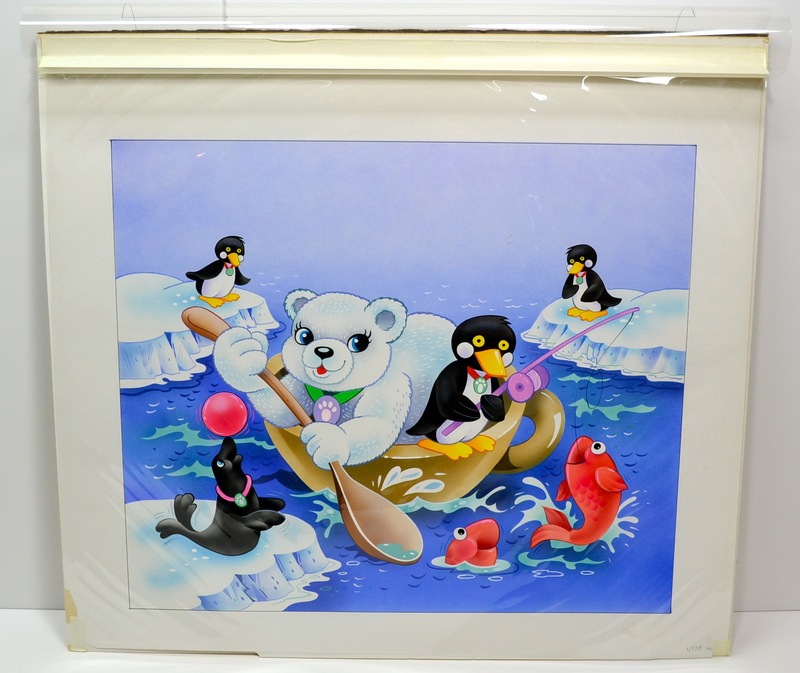 The unreleased Mother & Baby pets in this promotional image are probably hand-painted hard copies that were never used for production. -Orange sitting kitten ? ? 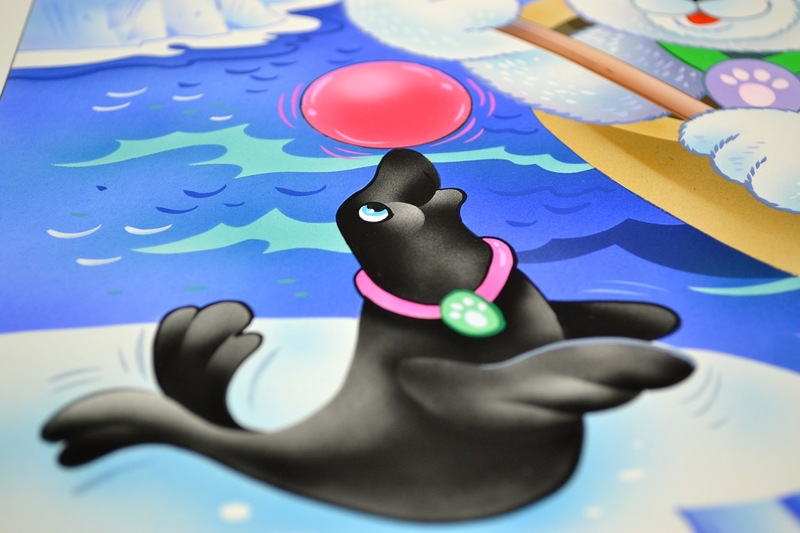 The three Sea World Mini sets were advertised in the 1996 Girls Toy Fair catalog and were mentioned in the accompanying 1996 Product Information Workbook, but they never went into production. They were scheduled to be released in August of 1996. -Purple castle opens to reveal boat and ocean ? 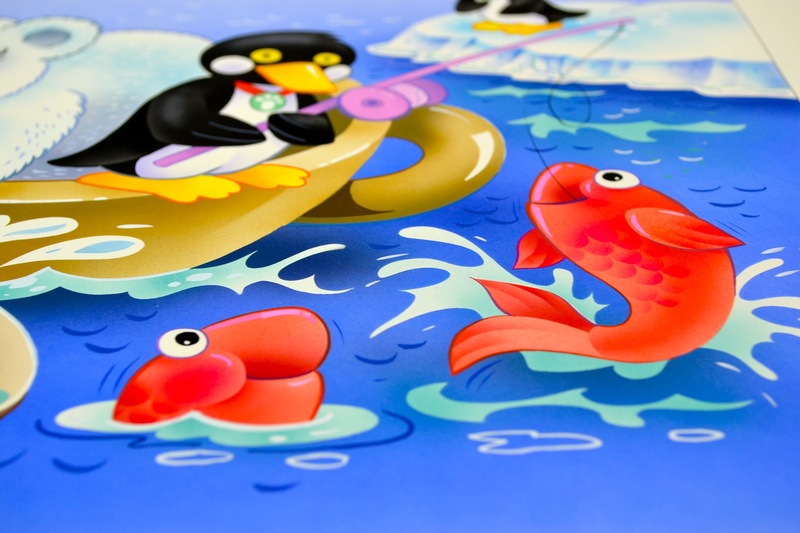 -Magenta treasure chest opens to reveal sandy beach scene and ocean ? -Pink clamshell opens to reveal coral and ocean ? 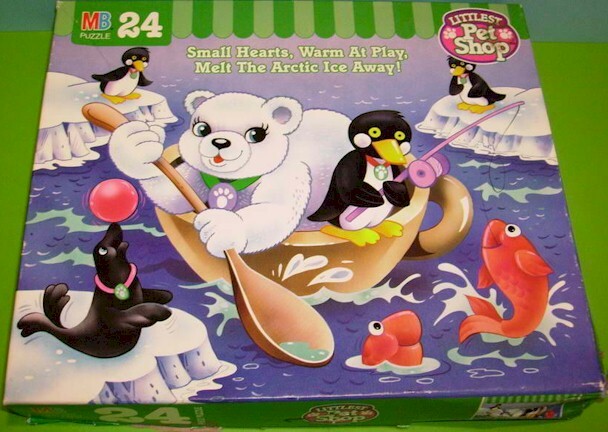 Promotional image from the 1997 Kenner Pre-Toy Fair catalog. 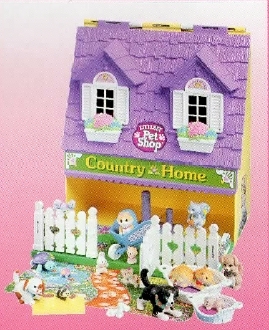 These sets from the Home Sweet Homes assortment, part of the Mini Surprise Families collection, were never released in stores. 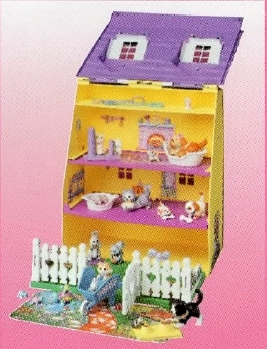 The original sets upon which they were based were part of Vivid Imaginations' Teeny Weeny Families collection. 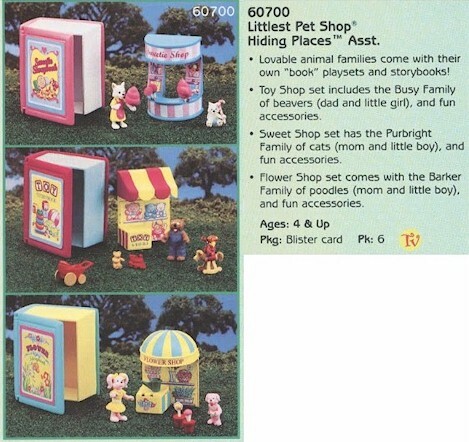 These sets from the Hiding Places assortment, part of the Mini Surprise Families collection, were never released in stores. The original sets upon which they were based were part of Vivid Imaginations' Teeny Weeny Families collection. 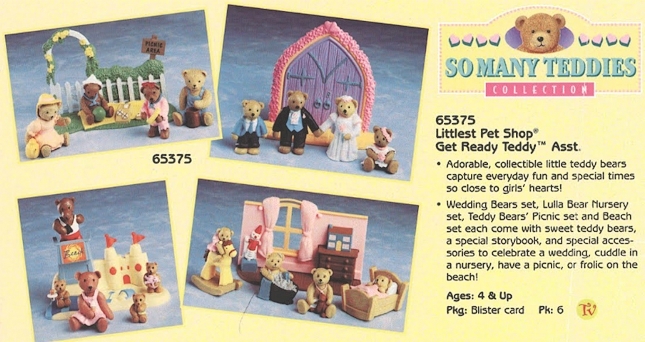 The So Many Teddies Collection was advertised in Kenner's 1997 Pre-Toy Fair catalog but was never advertised elsewhere or produced. This unreleased collection was derived from the Teddy in My Pocket toy line. 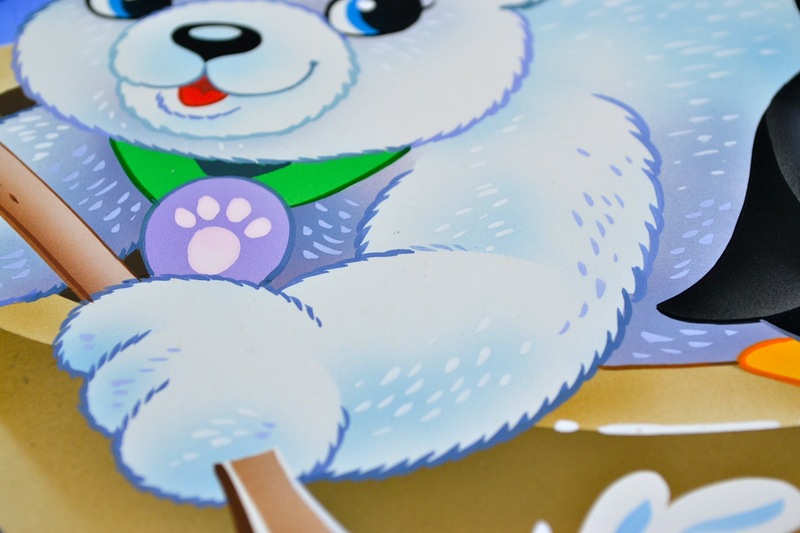 -Baby boy bear is wearing a blue scarf and holding a green ball. 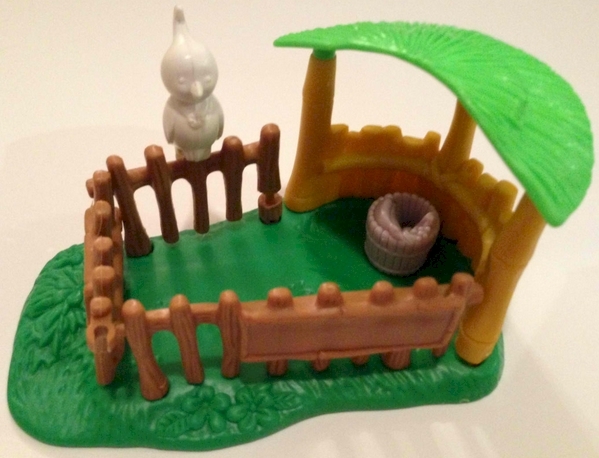 -Green garden play area with attached white picket fence, arbor, and brown "Picnic Area" sign ? -Flower-girl bear is wearing a white dress and a pink garland on her head. -Purple church doors on a yellow base. ? -Three baby bears -Yellow sandy beach scene with sand castle and platform for a lifeguard ? -Baby bear riding a rocking horse. -Pink nursery with brown dresser, window, dollhouse, and jack-in-the-box ? 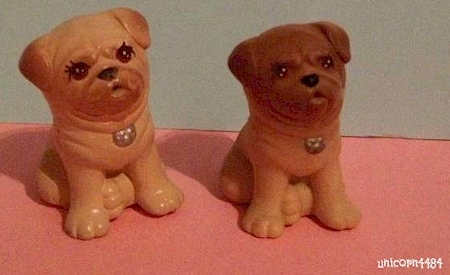 At the 1992 New York Toy Fair, Kenner provided this dog - which is identical to the Mail Order Dog - as a gift. 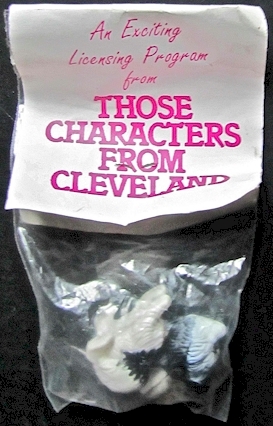 It was developed by Those Characters from Cleveland, which is a division of American Greetings. 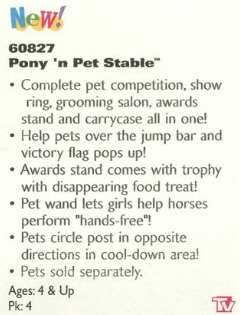 The Pony 'n Pet Stable Playset appears to have never gone into full production. 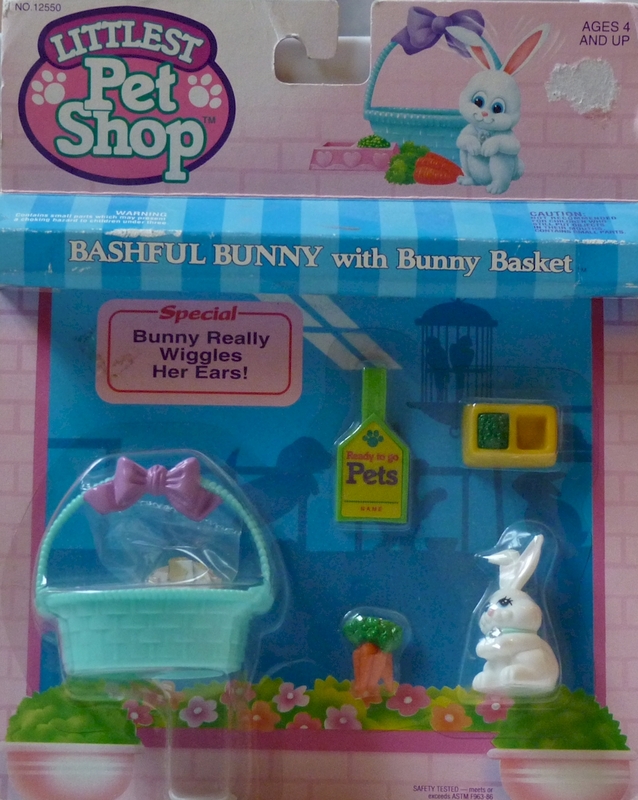 It was advertised in the 1995 Kenner Toy Fair catalog and the 1995 Sears Wish Book, but no one in the online community of Littlest Pet Shop collectors ever saw this playset in retail stores. 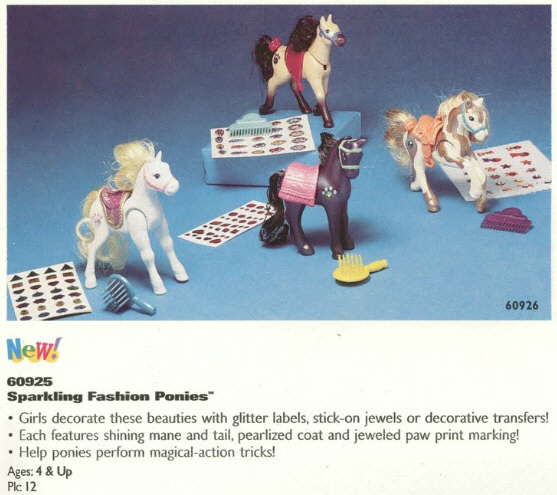 One mint-in-box playset was put up for bidding on eBay in 2006; this set did not, however, include the "Free Sparkling Pony" that was advertised on the box. Collectors have speculated that this may be a prototype or perhaps one of the few sets that was sold in retail shops. 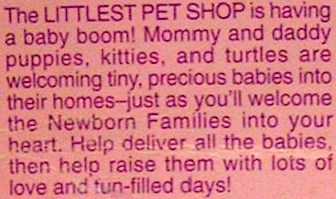 Promotional description from the 1995 Kenner Girls Toy Fair catalog. More Pony 'n Pet Stable photos, information, and videos are available here at LPSC! 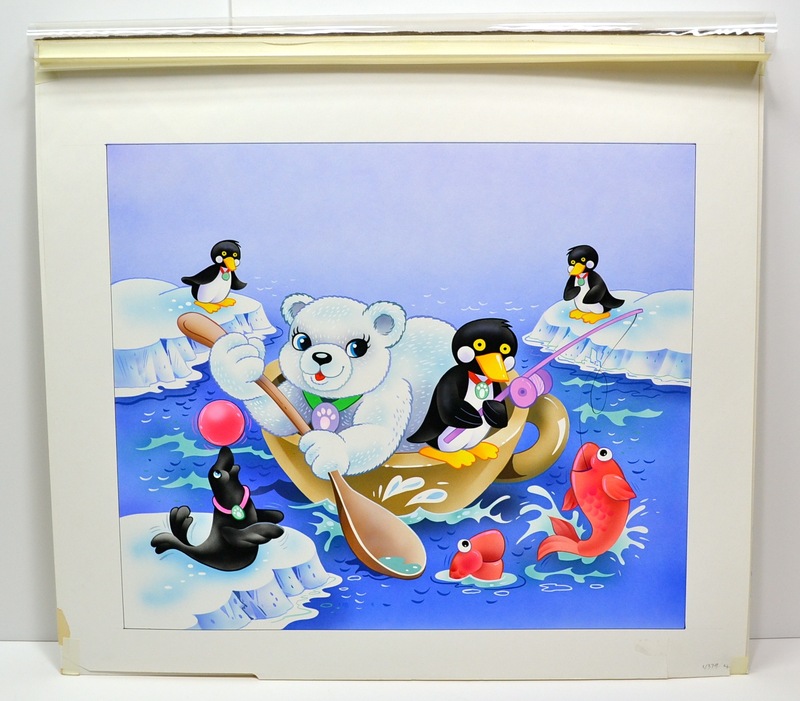 Dan from KennerCollector.com has generously provided LPSC with some stunning photos of an original painting that was used for Milton Bradley's Polar Pets puzzle. 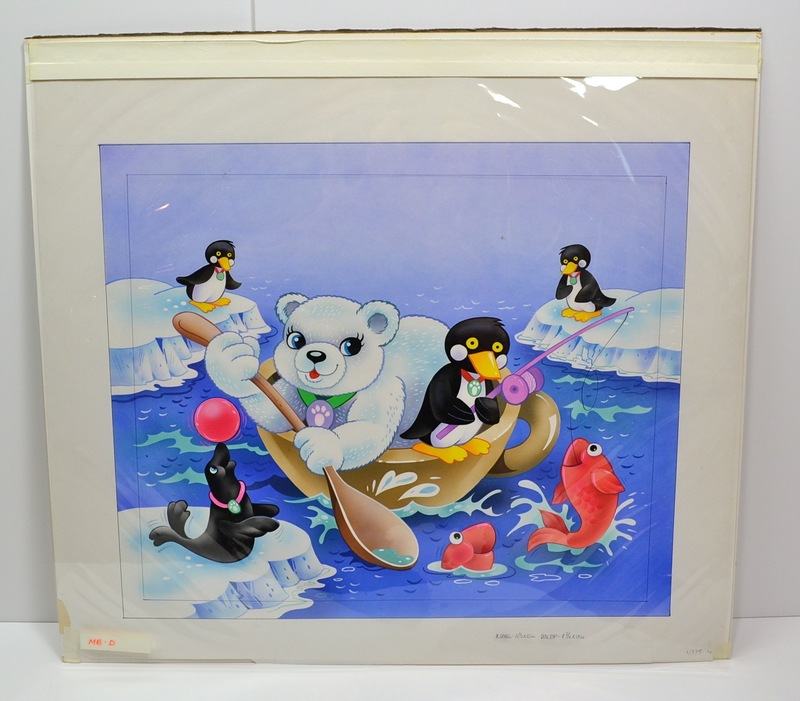 The painting's artist did contract work for Parker Brothers. Dan tells us that the "painting is a combination of airbrushing and hand-painted brush work on paper. 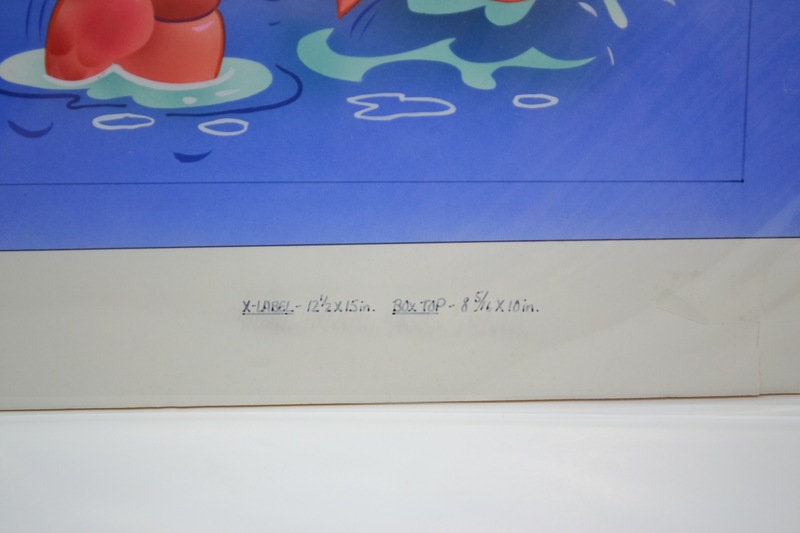 The overall dimensions of the piece are 20.5" W x 18.5" H. The painted area is 16.5" W x 14" H. The cropped area on the outer clear layer is 15" W x 12.5 H, which matches the writing on the layer for the label." Many thanks to Dan for sharing these images with us! Prototype is on the right. 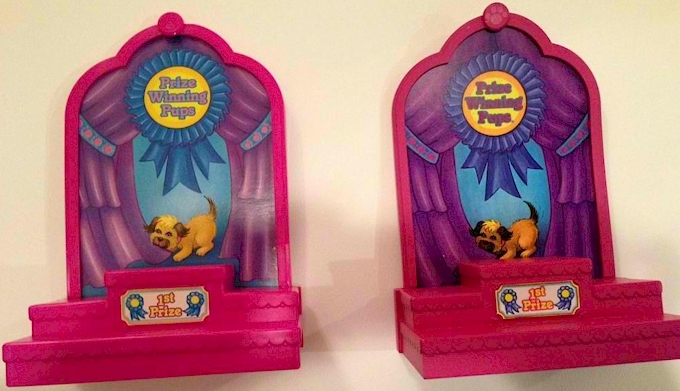 This pre-production prototype of the award stand from the Prize Winning Pups set has been hand-painted. 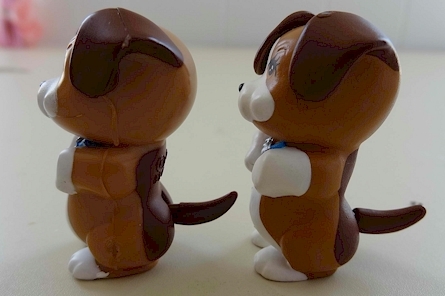 Hard copies are hand-sculpted and hand-painted casts that are generally made of resin and are therefore much heavier than the final versions of toys. They are used to create injection molds for production. Also, hand-painted hard copies are often used in the staging of promotional photos, since their colors and contrast tend to be more vibrant. Solid-bodied prototype of the piano is on the right. 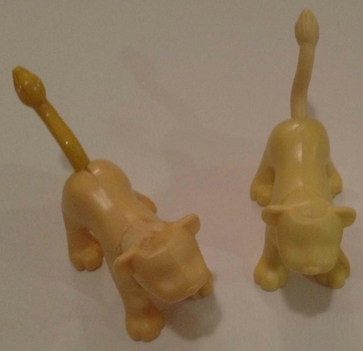 More photos of these prototypes are available at the Kenner LPS Forum. Prototype is on the right; final product is on the left. 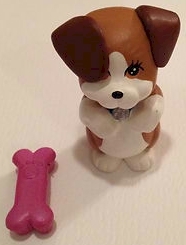 This is a hard copy of a beagle and a magenta bone-brush from the Prize Winning Pups set. 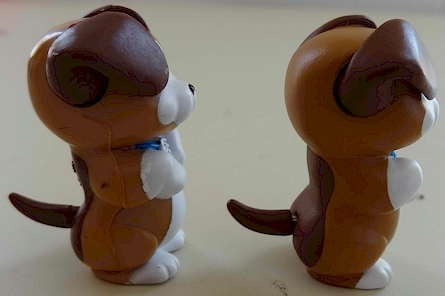 The prototype beagle is solid and weights twice as much as the final product. His tail is attached with a metal post and does not move. Prototype of sweater and collar-bow are pictured here. Prototype is on the right; final version is on the left. The head of this hand-painted Scottish Terrier prototype is attached to his body with a metal rod. 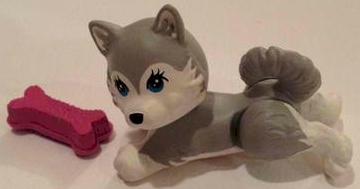 This pre-production prototype of a Husky and a magenta bone-brush from the Prize Winning Pups set. 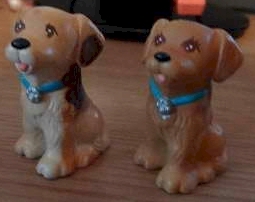 This is a hard copy of a partial set of the Splash Happy Puppies. The puppy is hand-painted. Prototype is on the left; final version is on the right. 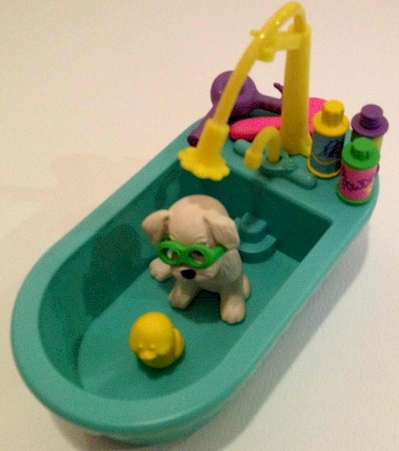 This is a hand-painted pre-production prototype of the lab from the Splash Happy Puppies set. 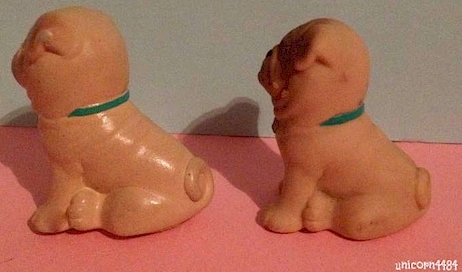 This is hand-painted prototype is made from rubber rather than resin, but it is not squishy (unlike the final version of this pug). Prototype is on the top; final product is on the bottom. These lion cub prototypes are hand-painted. 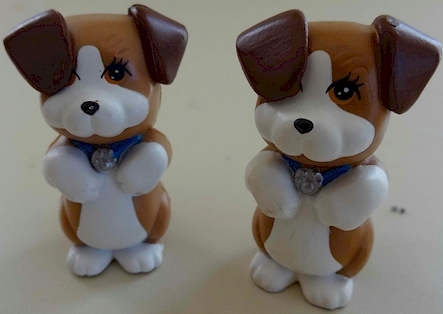 The magnets in them were incorrectly placed on the undersides of their bellies. Each has a weight inside and weights more than the final product. First shot prototypes are produced to test steel injection molds; they are used to exhibit any sculpting problems, to test the articulation of toys, to test safety, etc. The colors used for first shots are those that happen to be in the plastic dispensers at the time, so these prototypes tend to sport a random array of colors. 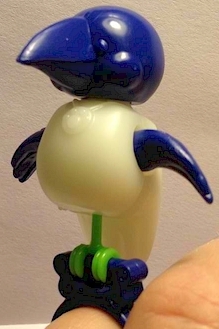 This unassembled Ticklish Toucan prototype appears to be a first shot prototype, though its colors resemble those of the dark blue Ticklish Toucan prototype that never went into production. The final version of the toucan has a longer connector on both sides. Also, the prototype's wings are more bendable than those of the final version. 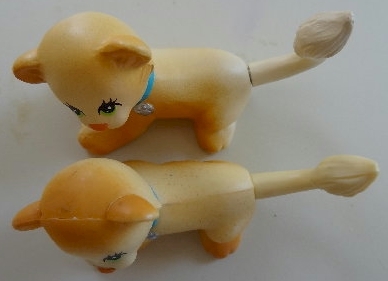 A series of photos and information on this first shot prototype of Banana-To-Go Squeaks from the LPS Cartoon Series, as well as the set's sample card, is available at KennerCollector.com. Pre-production samples and production samples are often indistinguishable from the final incarnation of a toy. 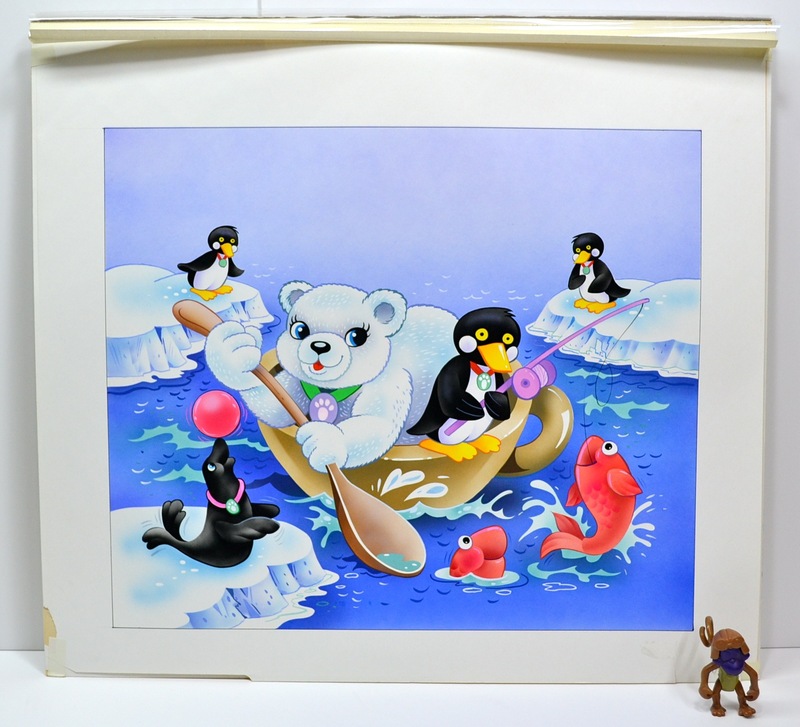 The correct plastic colors are used for them, and their paint has been factory-applied (sometimes, the plastic and/or paint colors are still changed before final production begins). 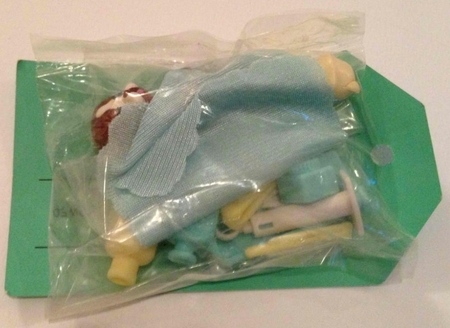 Production samples are packaged in sample packaging, which is very similar, if not identical, to the toy's final packaging. 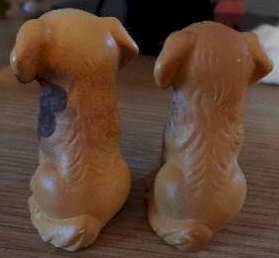 The purpose of these samples is to exhibit the final appearance of a toy and to receive approval from managers. 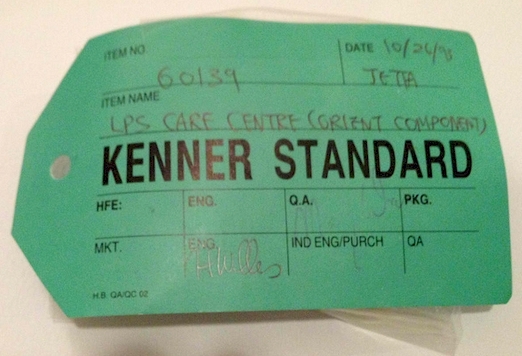 Kenner's pre-production and production samples were accompanied by green "Kenner Standard" cards, which provided a rubric for toy quality, and were then sent to various departmental heads for inspection and approval. 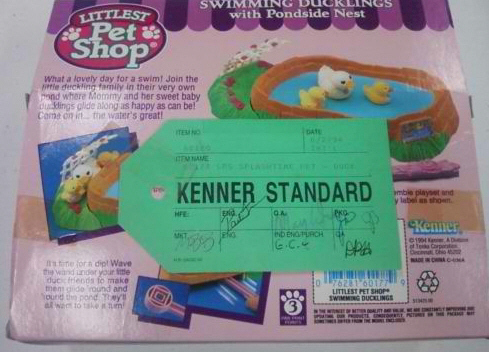 On the Kenner Standard card, a departmental manager would indicate any alterations that needed to be made to the toy and/or packaging. If a toy in the production stage was approved, it went into mass production. 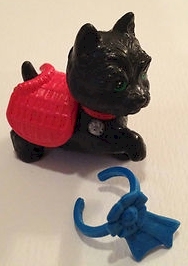 These are pre-production prototypes of the pets and small accessories from the Care Center. The Kenner Standard card accompanying these prototypes is also pictured. 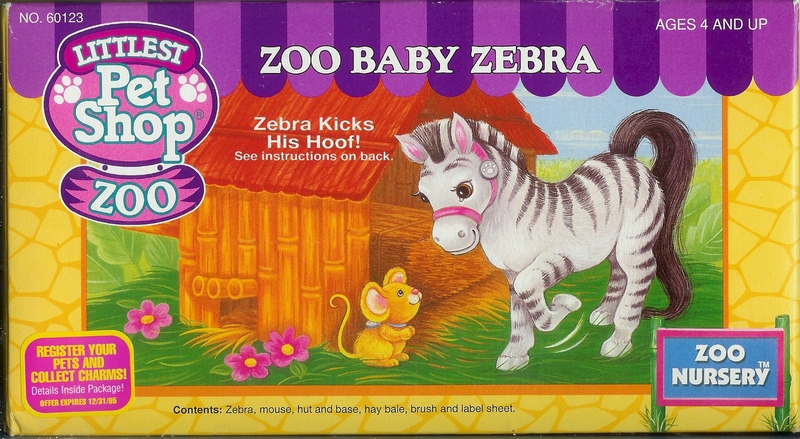 This is a pre-production prototype of the zebra from the Zoo Baby Zebra set; his tail has been inserted and the gear in his mane is a different color, though he hasn't been painted yet. This is a pre-production prototype of the Zoo Baby Tiger set. The cockatoo and fruit basket are un-painted, and no stickers have been applied. 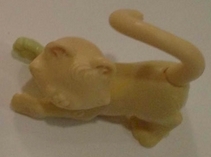 This is an un-painted pre-production prototype of the tiger from the Zoo Baby Tiger set. 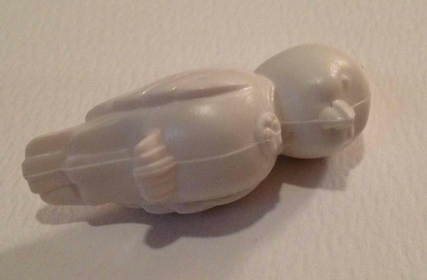 This is an un-painted pre-production prototype of the cockatoo from the Zoo Baby Tiger set. 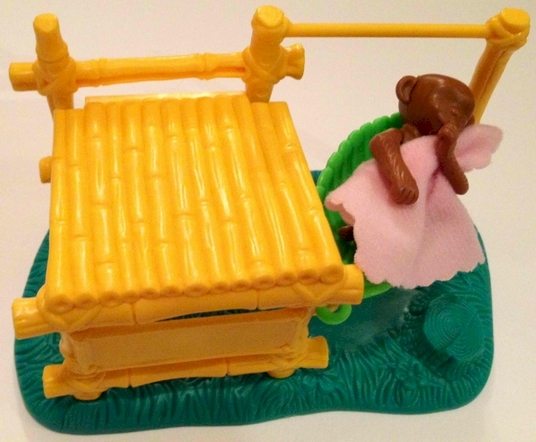 This is a pre-production prototype of the Zoo Baby Chimp set. The chimp's face is unpainted and no stickers have been applied to the set. Also, the chimp is hugging a prototype pink blanket, which was featured on the set's packaging; in final production, the set included a white blanket instead. Prototype is on the left. 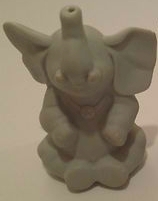 This is an un-painted pre-production prototype of the elephant from the Zoo Jungle Bunch set. 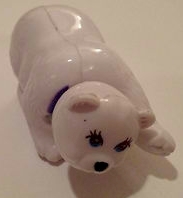 This is a pre-production prototype of the polar bear. 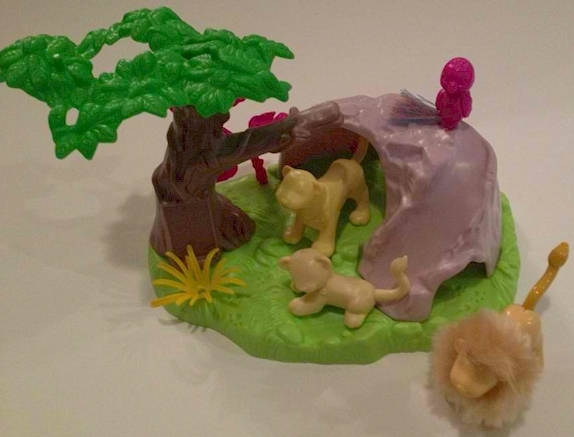 This is a pre-production prototype set of the Zoo Lion Family; the figures and set are un-painted. 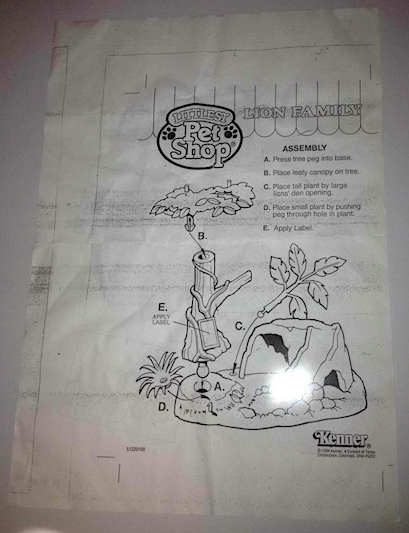 A prototype of the set's instructions is also pictured. These are pre-production prototypes of the two adult lions from the Zoo Lion Family. They are un-painted, and the mane has not been applied to the male lion. 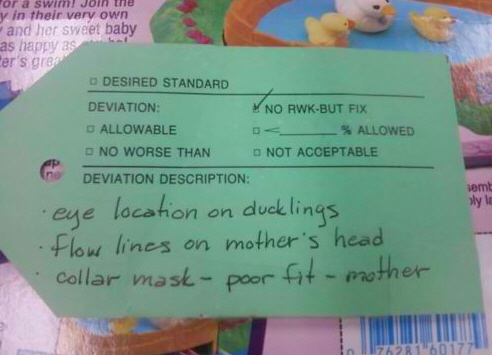 The Swimming Ducklings set pictured above had several errors: "eye location on ducklings, flow lines on mother's head, collar mask - poor fit - mother." These production samples of packaging are virtually identical to the final products.